Great purchase! I have had this mattress for 5 months now. It’s comfortable and perfectly comfortable and firm for me. We have this in our master bedroom and it was a great purchase. The only issue I had was with the delivery person. He was not at all friendly and he even was rude while communicating. 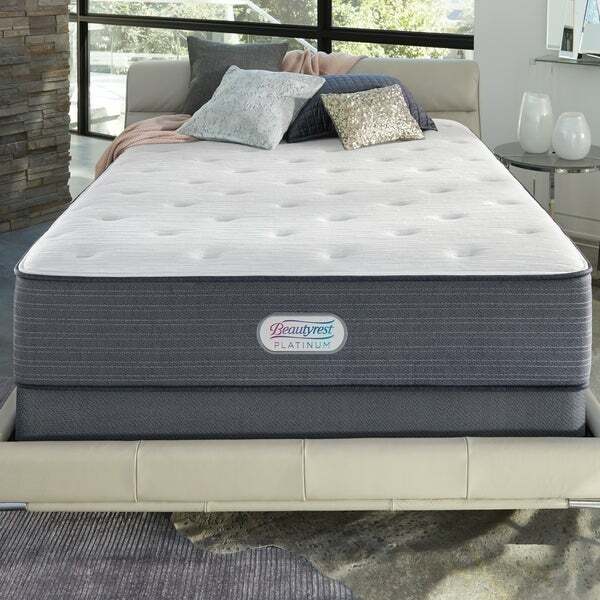 Soft yet adequately supportive, this Beautyrest Platinum Spring Grove mattress will provide the restful sleep you need. Combining the technologies of gel-infused memory foam, heat-dispersing fiber, and pocketed coils, this Luxury Firm hybrid mattress has it all. Beautyrest Platinum Mattresses are built with balance in mind, blending art and science for a more fulfilling sleep. Regulating the differences between temperatures, Beautyrest Platinum offers a smarter, restorative rest and a better morning. InfiniCool Surface. A fiber layer enhanced with cooling materials uniquely positioned just beneath the cover to move heat away from your body while you sleep. - ActivPur. Antimicrobial technology that prevents odor causing bacteria to help keep your bed fresh. - 0.5' Memory Foam infused with Gel Beads contours to your body providing exceptional support and comfort. - Beautyrest Pocketed Coil Technology helps provide conforming support and motion separation for undisturbed sleep. Great Firm Mattress, very happy with my purchase. I usually hesitate to write a review on something (especially a mattress) until we’ve had a sufficient amount of time to use it and see how it holds up. Well, we have had this mattress for over a few months now, and it’s a winner! The mattress is very comfortable, and all our guests comment on how much they love it! If I had to give it a firm or soft rating, I’d say it’s somewhere in the middle. It has a slight firmness to it, but not in an uncomfortable way. Once you lay down on it, you feel how comfortable it is and it provides cushiony support. We should probably be better at flipping the mattress every now and then, but it’s one of those things that is “out of sight, out of mind”. I would definitely purchase this mattress again. It has held up great and we have no complaints with it whatsoever. Easy to set up and schedule delivery. After two weeks, this mattress continues to be incredibly comfortable. Firm support with some bounce. Just purchased the Beautyrest Spring Grove Luxury mattress. This is our first Beautyrest mattress. It cost a little more than our previous brand, but I must say, TOTALLY WORTH IT. My wife is pregnant and this is the first time she has slept through the night in months. 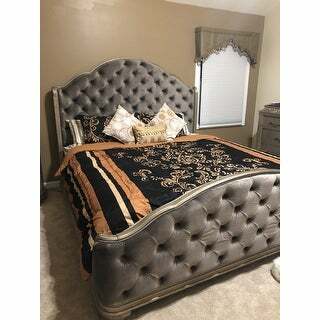 I would recommend this bed and brand to anyone. We decided to go with this brand, because we won a free stay at a luxury hotel and casino. That suite had an extremely comfortable bed. We called an found out they used this mattress, so we decided to give it a shot. Never looking back. Hope this helps. Wonderful mattress at a fantastic price. I was concerned that this mattress would be too heavy on my antique bed frame, but I added a couple extra wood slats on the bottom of the bed and it's held up well, even with two people on it. This was purchased for a guest room and I was worried it would be a hassle to sleep on it enough times to "break it in." No hassle at all, it was a great nights sleep on a mattress that doesn't get too hot or too soft. I will now seek this bed out if I'm having back pain, as it offers me a level of support that is very comfortable. I would absolutely buy this mattress again for every room in my house. The mattress shipped quickly and deliverers arrived within a tight 2 hour window. One glove delivery meant they brought it up to my 2nd floor apartment and unsealed and placed the mattress. They also took away my old mattress for free. The mattress itself was very comfortable. We're glad we went with luxury firm instead of extra firm, as I think the latter would have been too hard. I’ve had this mattress for a few months now and I love it!!! No more back pains or sleepless night. I like how the mattress is firm and has a great support. "will I notice the difference in a luxury firm mattress from a firm with a pillowtop mattress when I lay down? " "Does this come with a box spring?"